So Your Child Wants To Be A Model? As a FORD/Robert Black model and actress for over ten years, I am often asked by parents how they can get their children involved in the industry. My answer to them is often short, but there is a lot to take into account when submitting to agencies. This is an overview of my knowledge and experience of the modeling and acting industry in Arizona, specifically the Phoenix market. Other states and markets likely have different protocols. How can I get my child into modeling? First of all, there is very little work for children in Arizona. Therefore, agencies tend to only represent a few select children. In my experience, the reputable agencies in this state do not sign children under the age of five. When projects or auditions come up that request younger children, agents will pool submissions from children of their adult actors and models. For example, my son Aaron, who will be four in November, has been submitted for two or three jobs in the last couple years and he booked only one. It was a print shoot that he and I did together for Nationwide Insurance. Aaron is not an official FORD child actor, but he has had these opportunities because I am signed with FORD. What if my child is over the age of five? Agencies look for a few things when considering children: training, experience, natural talent, personality, attitude, and appearance. Agencies will likely sign children as actors, not models, and use their child actors for modeling jobs. If you think about it, modeling is acting in front of a still camera, so the child needs to be creative, take direction well, and have a good attitude. If your child has no training, start there. I cannot recommend the kids’ classes at Dearing Acting Studio more highly. I used to teach adult acting classes there before I had my kids. There are also a couple wonderful casting directors in Arizona who teach classes and workshops: Garth Williams Casting & Development and Good Faith Casting. Start there and submit to an agency after at least six months of ongoing training. Your child will need training in improvisation, commercials, cold reading, and more. How do I know if an agency is legit? Great question! First you should know that legitimate agencies don’t get paid until you get paid. They take a commission from your paycheck (usually between 10-20%) and never try to sell you classes or photo sessions. They will, however, recommend that you take classes or get photos from a list of qualified professionals. Any agency that is also a modeling or acting school is a huge red flag as a scam. Run away. And fast! Keep in mind that many reputable agencies may require a small monthly fee in order to be marketed on their website. Whereas models and actors used to have to pay for their comp cards and headshot printing, now that the industry has gone paperless a majority of talent promotion is done online. I pay just $10/month to be listed on the FORD/Robert Black website, which I can write off as a marketing expense come tax season. What are the reputable agencies in Arizona? 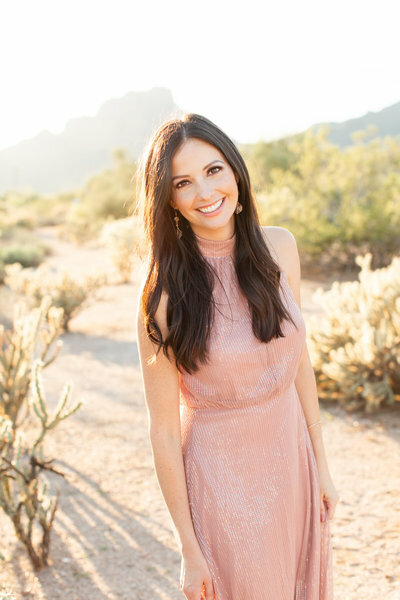 In alphabetical order: Dani’s Agency, Deborah Maddox Agency, FORD/Robert Black Agency, Leighton Agency, Signature Models and Talent, and The Agency Arizona. These are the only legitimate talent agencies in the Phoenix area. How do I submit my child to these agencies? Do your research. Visit each agency’s website for submission information and instructions. Do not call them. Do not email them. Do not show up to their office unannounced. If you do, you’re not likely to make a good first impression. The ability (or inability) to follow directions is the first indication that an agent can tell what it would be like to have your child represented. Some agencies have open casting calls, others ask that you submit a headshot and resume via mail or email. You know the saying, “Don’t call us, we’ll call you.”? Keep that in mind after you submit your child. If you don’t hear back from an agency, don’t follow up with them. Move on, keep taking classes, and try again in another six months. Do I need professional headshots before submitting my child to an agent? No. It’s not required, but it is recommended. Don’t go spending a crazy amount on a full portfolio and modeling photo shoot. If an agency offers your child a contract, they’ll most likely suggest that you have him or her get some new photos taken anyway. Why won’t an agency choose to represent my child? The answer could be anything, and you may never really know. It could be that he or she needs more training. Or even that the agency already has a child actor who looks a lot like your kid. Or maybe that particular agency doesn’t get the clients and/or work that would be suitable for little Johnny. Not all agencies are created equally. Some have a strong fashion and modeling division, while others pride themselves on their high-caliber acting and voice-over divisions. The best thing you can do is find your particular child’s strength, then find the agency that will be the best fit. I’ve submitted to an agency and they want to meet my child in person! What do I do now? Congratulations!! By this time, your child should have been taking several months of classes and have a great relationship with his or her acting teacher. Give them a call and set up a private lesson before your agency audition. Each agency will have slightly different ways of going about the audition. They may have your child perform a short monologue, do a commercial cold read, and ask your child some interview questions. Make sure that you’re on time, have your child dress appropriately for his/her age, and have his/her hair and makeup styled naturally. Agencies want to see what your kids really look like! The same guidelines apply for open casting calls. I hope this has been helpful if you’ve ever considered how to get your kids into modeling and acting! Please ask any other questions you may have in the comments below!